Find a huge variety of hammocks ,visit our website La Casa De Hamacas , or visit our retail shop where you can choose your favorite hammock by testing some of our hammocks. Find the exact location using this link google maps or by searching on Google "la casa de hamacas Athens". Located at the most beautiful and touristic area, Acropolis - Koukaki Area , only 3 minutes walking from the Acropolis Metro Station. Just behind the Acropolis Museum. 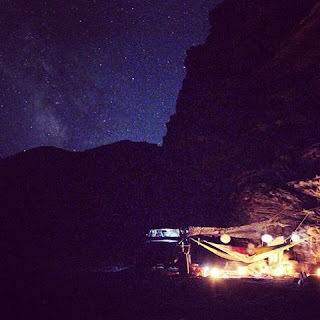 La casa de hamacas is the only hammock shop in Greece, we consider ourselves as hammock experts, and we can give you all necessary information, tips, and gear for hammocking in Greece. You can contact us through our facebook page or through our on-line shop email info@lacasadehamacas.gr. 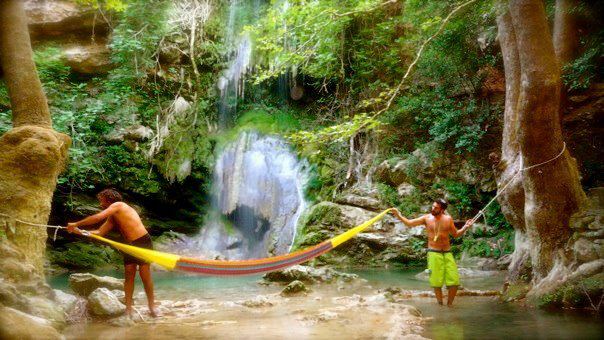 Hammocking is a relatively new trend for Greece, but it became very fast, a unique way to explore the Greek nature. All travelers can easily use a hammock when they visiting a destination. Free camping despite of the fact that it consider illegal in Greece, still it is a very common habit for people who want to enjoy the maximum the Greek summer. Even if, a heavy camping gear it might prove an illegal free wild camping. the use of a hammock, can give you an alibi for staying everywhere as long as you like. There are plenty of areas in Greece that you can enjoy free wild camping, in the mainland or Greek island, and you will be surprised how many people travelers and locals do the same thing. Because Free camping is Great not because is free, bur because is absolutely amazing. So for example, if you have plans staying ten days in Greece, you have to enjoy at least 2-3 days on free camping. Make a research on line about the area or the island that you want to visit and spot the free camping place. Of course always it is a good idea to choose an organize camping as well. But still if you are a romantic person you will definitely sleep one day on the beach. The landscape varies from area to area, and from beach to beach. If you decide to visit the mainland or the north of Greece then it would be easier to find places or beaches with trees to set up your hammock. However most of the islands dont have vegetation, mostly rocky beaches, and that means that you have to be prepared about that. This is a great photo from a rocky beach in Ikaria Island. Amazing Night sky. Stay tune with us La Casa De Hamacas and find all the information that you need about hammocking in Greece. Αναρτήθηκε από Το Σπίτι Της Αιώρας- La Casa De Hamacas στις 7:49 π.μ.